Earnings Per Share – In terms of earnings per share, HD blew away expectations. While analysts expected that the company would produce $1.10 per share in the fourth quarter, the company actually announced earnings in the amount of $1.17 per share. This also proved to be growth of around 16% year over year. Revenue – Top line revenue also proved to be a big hit. In the quarter, the company produced revenue in the amount of $21 billion, also proving growth in the double digits. The Big Story – While beating earnings and producing solid growth in revenue is great news, there’s one piece of the earnings report that investors seem to be more excited about than anything else. That is sales growth. 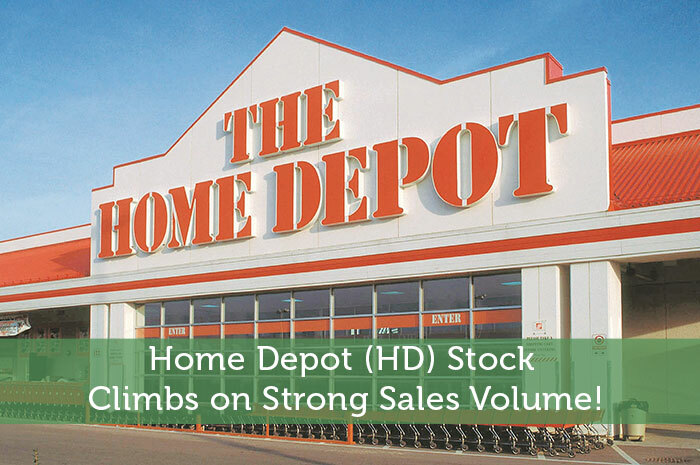 In the fourth quarter, the rebound in US homes sales led to massive gains in sales for Home Depot. In fact, HD saw growth in sales in the amount of 9.5% in the quarter. As investors, we’ve learned that the news moves the market. More importantly, we’ve learned that few pieces of news have the ability to move the market quite like earnings. When a publicly traded company produces positive earnings, we can expect to see strong gains in the value of the stock associated with that company. So naturally, we’re seeing strong gains in the value of HD at the moment. Currently (12:17), the stock is trading at $124.97 after a gain of $2.12 per share or 1.73% thus far today. Moving forward, I have a relatively mixed opinion of what we can expect to see from HD. First and foremost, earnings in the fourth quarter were incredibly positive. With that said, we can expect to see gains in the short term as investor excitement fuels growth. However, in the long run, things may turn out a bit different. One of the big pushers for HD sales in the quarter were strong new home sales in the US. This figure has been declining as of late. On top of that, HD also benefited from the strange weather in the beginning of he winter. This isn’t likely to be the case through the first quarter. So, things will likely get very interesting upon the next earnings release. Where do you think HD is headed moving forward? Let us know your opinion in the comments below!